About nine years ago, I left my mom’s house and started building my own family. I knew nothing back then other than keeping our small abode clean and tidy (because I grew up in a house wherein I see my mom would sweep the floor early in the morning and late at night everyday). Cooking is something I need to learn fast, and my mother’s cooking is the standard by which I measure all food. Fast forward and we still live in a place my boys dubbed ‘the small house.’ To ensure my family’s well being and strong ties, I turn to cooking. And at this time that it is a rare gem to see a family eat together, all the more that I cook. 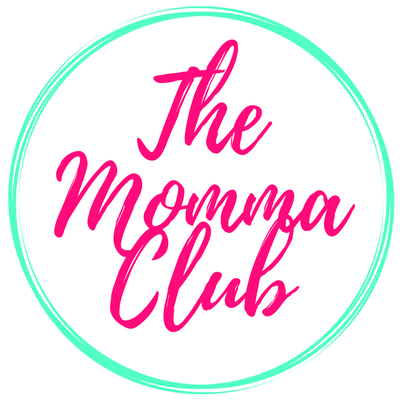 Husband supports this and makes dinner time as well as our weekends’ meal time our family time. I turn to my cooking as a force to keep my boys at home. And to do that, I first need to look at cooking not as a chore, but a pleasure. In the same manner that my kids need to see food as pleasure and not just mere fuel. Then I learned that there is this one brand which only aims is to bring back the importance of home-cooked meals in every home. 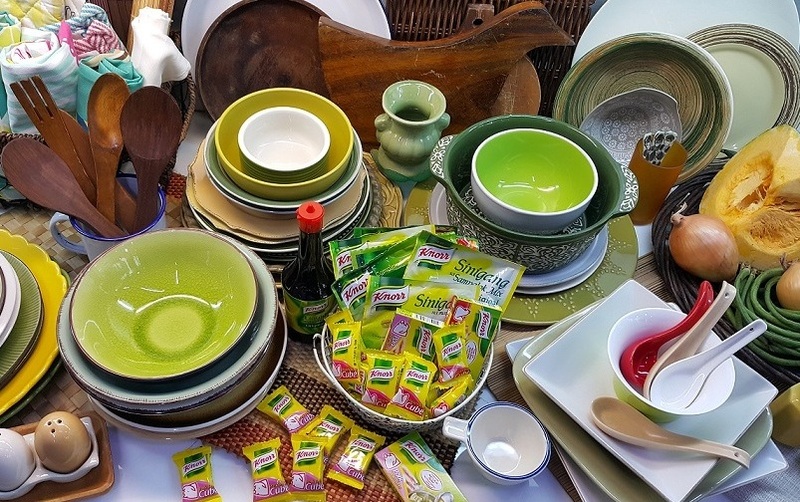 It has been bringing flavors to people’s lives globally for 175 years, and has been enriching Filipinos’ dishes for 45 years —Knorr. 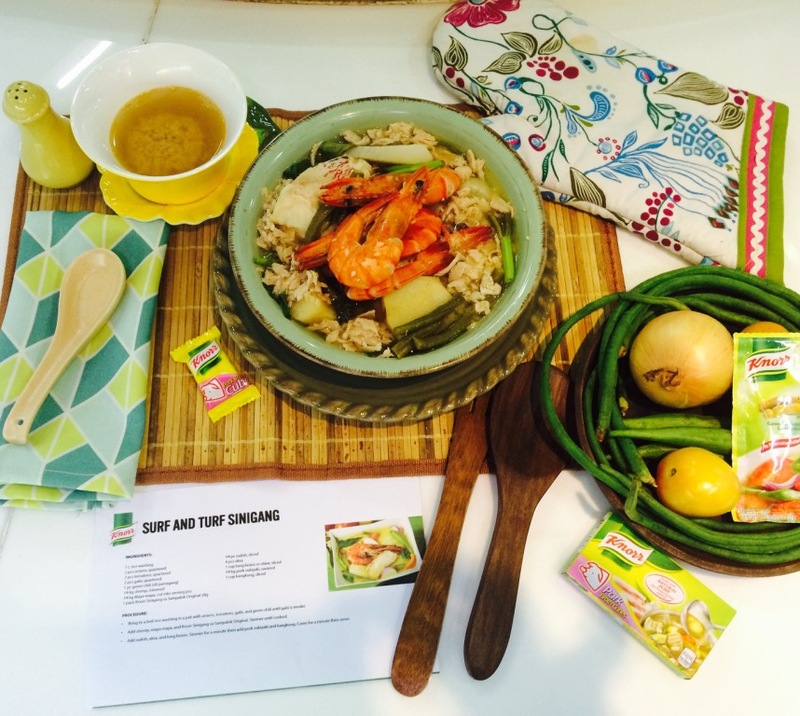 Knorr brings back home-cooked meals to the Filipino home through its #LutongNanay campaign. 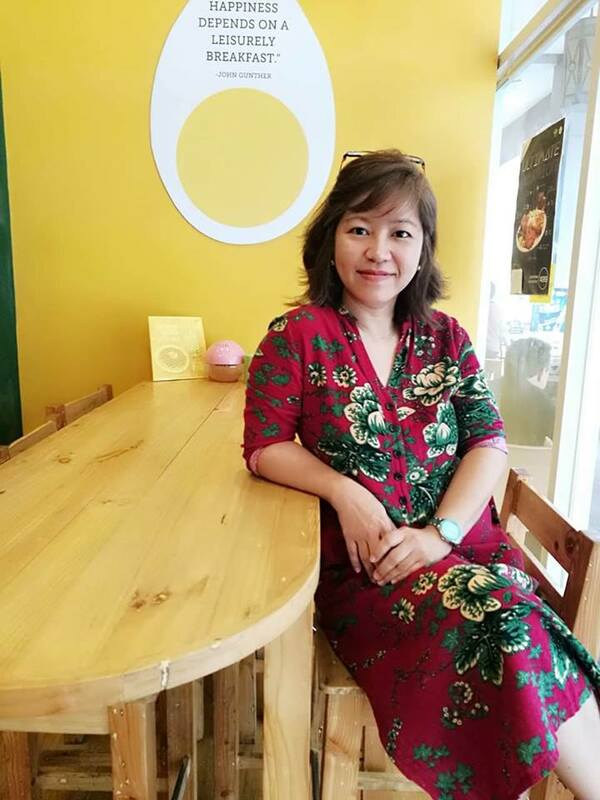 Now on its third year, Knorr Lutong Nanay continues to champion delicious, home cooked meals for the Filipino family, especially in this day and age of eating out and instant food. Knorr Brand Manager for Bouillon and Seasonings Dhiren Karnani stressed in a statement the “it is Knorr’s goal to bring back the value behind home cooked meals.” And such way is to aid moms — who are the true enablers of flavor in the house –bring the family together through the best flavors in their cooking. 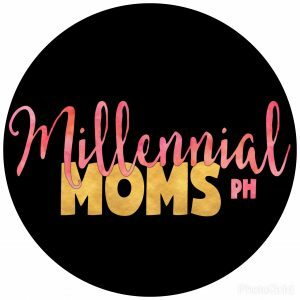 As Knorr is visibly bringing back the passion for food as shown in home-cooked meals to the Filipino families, it invited a number of mommy bloggers for a short brand presentation followed by a fun Sinigang cook-off. Talented chef and mother of two Chef Kai provided assistance and sound advice to the mommies as they prepare, cook, and plate their Sinigang dishes. All the participants had the hands-on opportunity to experience cooking Sinigang variations and were just too curious about how the dish would turn out. At the end, everyone was just so happy with the end dish plus obviously gained new acquaintances, a full tummy, and fun memories. 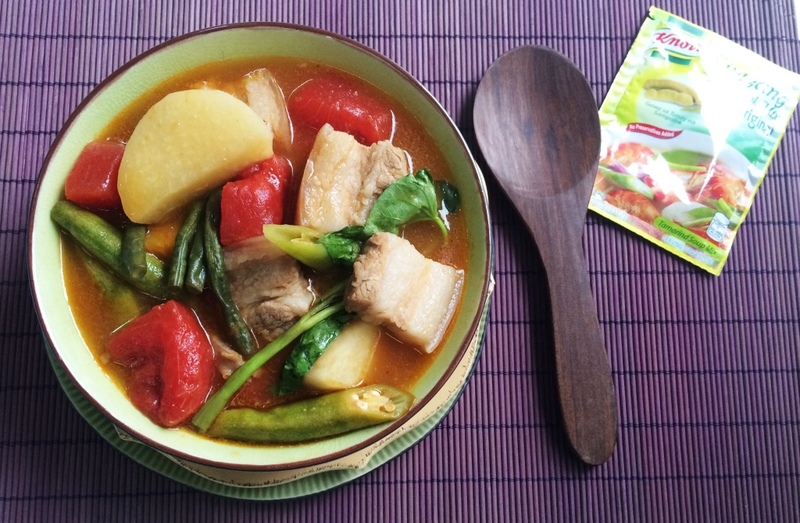 The following day was a rainy one and this mom tried the Sinigang sa Pakwan recipe. Funny that as I sip and eat my Sinigang, it brought memories of the little Berlin being loved and pampered by her momi. I looked at my boys as they eat and then I smiled. Seeing them eat more made everything worth it. I know that through my cooking, I am building fun family memories . My family has been living independently for nine years already. And since then, I turn to my cooking as a force to keep my family intact. Though all my recipes are always in my head and hands – not written in books – I rely on one ingredient to bring flavor to my cooking. 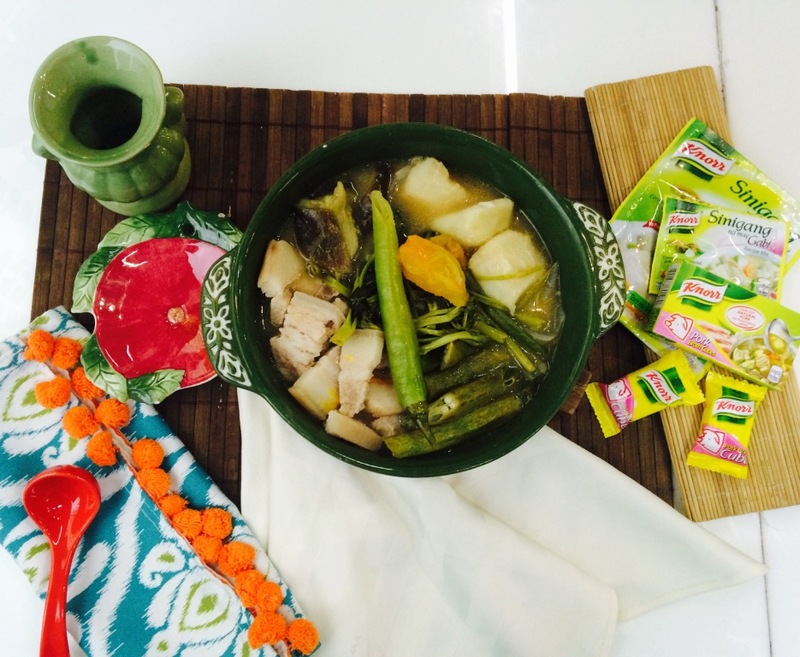 The Sarap ng Lutong Nanay strategy of Knorr has helped me reveal the wonder of mom-cooked meals. And I am positive that it helped me unlocked the most powerful bond and that is bringing in the flavor to my cooking, our kitchen, our home. mix on standby to add to my favorite kalabasa & green beans! Haha. The ginataang kabasa and strinf beans is my Second son’s fave vegetable ulam. And funny my now one year old loves it as well. And yes, I also use Knorr gata. The cook off and meals look great. I know the brand knorr. Here in the Netherlands it is a very big brand. I use it quite often. They also have Knorr worldmeals. And I love that. It is nice that our favorite seasoning is also famous in other countries. As they say, you cant put the good brand down. And Knorr is a good brand. Happy cooking to us! I also use Knorr when cooking sinigang. I like using the original flavor. I agree that cooking can be a bonding moment with the family. Kids can make this part of their childhood memories. I remember that I always had good memories of Sundays with my family. My father would usually cook sinigang for us. If not that, he will grill some meat for lunch. Such fun memories sharing meals with the family. I also love weekends. My mom is in the house to cook for us even when I have kids of my own na. We are also knorr’s avid fans! 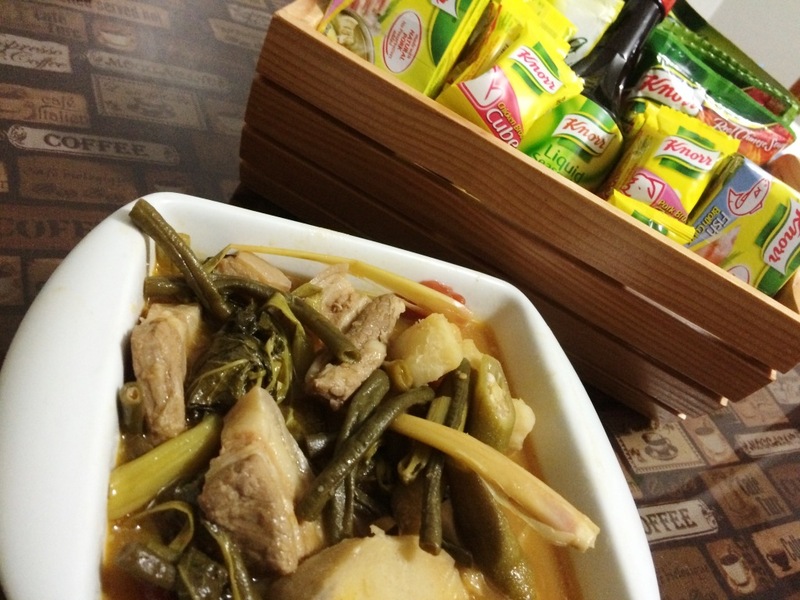 When it comes to Sinigang, it is only knorr completes the dish and that all the housemates love most! I agree. It seems Knorr really has put itself as the standard of superb sinigang. My kids also love it when we have sinigang. I’ve been a knorr user since I learned how to cook. Indeed, it adds flavor. I’m so curious with the sinigang sa pakwan. I will try it pag nakahanap ako ng pakwan. Lol. Ako din sis, I like it when they more pag ako nagluto. 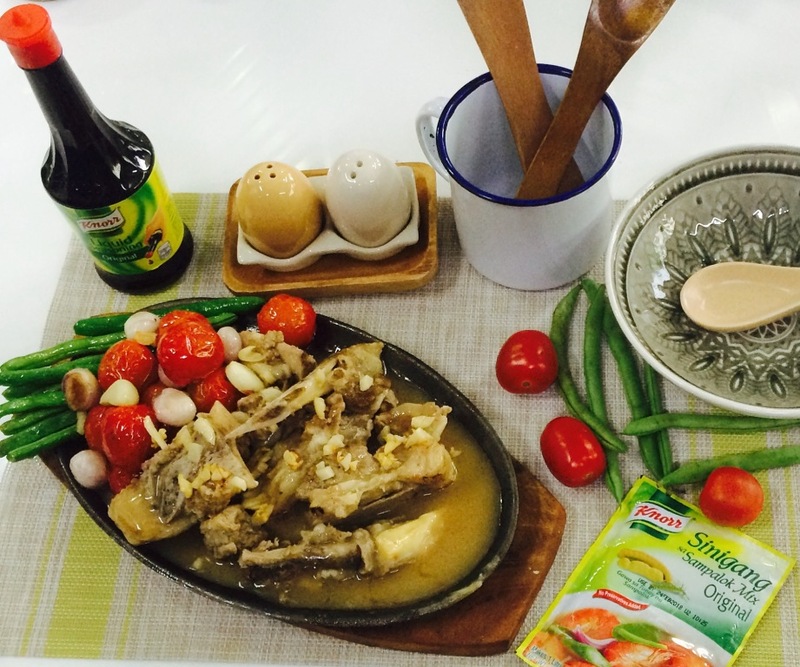 The sinigang sa pakwan will surely be a hit in your household. Yes, Sinigang seems not to be sinigang without Knorr, ano? Lovely dishes and I agree Knorr has some amazing blend of ingredients!! I agree on the blend of ingredients. Yup. lovely dishes on the cook off. 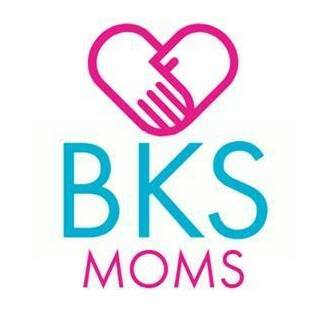 and lovely mommies as well. This adds more reason for me to miss my Moms lutong bahay dishes back in the province. I love how Knorr enhance the flavor but hope too using too much of it though. Wish to have this kind of gathering soon too in Cebu. I agree. When we see lutong bahay food, we often remember our moms and lolas in the province.